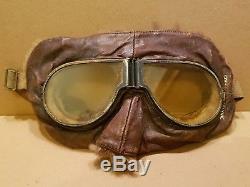 Here for sale today is my VERY VERY RARE 1917 MARK II RFC / RAF FLYING GOGGLES Goggle Mask. 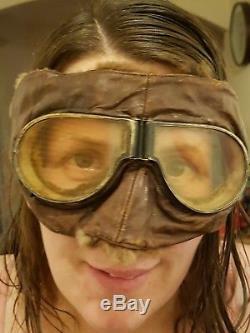 The goggles are in superb condition, with minimal wear and tear. They are stamped inside the leather GOGGLE MASK FLYING MARK II THE TRIPLEX GOGGLE MASK AND LENS CO LTD WITH AN A BELOW Also with registration number on nose piece. 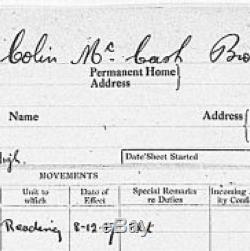 Now I have done some research on the man, and have found two records for him on the National Archives Record one is from the Air Ministry , record number AIR/76/143 pt1 This clearly shows Lt Colin McCash Brown Duncan was a confirmed pilot in December 1917. 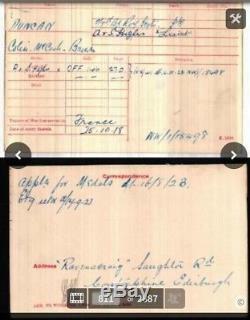 Record two is his medal index card, record number WO/372/6 Which shows him in 1918 transferring to the Royal Scots as rank of Private then transfers to the Argyll and Sutherland Highlanders as Rank of Lieutenant Entitled to the BWM and Victory medal. I also found him listed on AIR History. Both records I have hard copies of for the new owner. These are absolutely stunning WW1 1917 RFC / RAF goggles, I have never seen these in such good condition in the last 30 years of collecting. There now 100 years old, so a true antique aswell I have attached as many photos as I can but please, if you require more just ask. No reserve with a very modest start price. 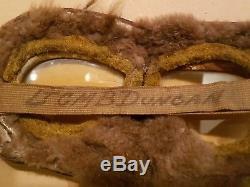 The item "VERY RARE WW1 1917 ROYAL FLYING CORP RFC MARK 11 FLYING GOGGLES NAMED LT DUNCAN" is in sale since Wednesday, December 20, 2017. 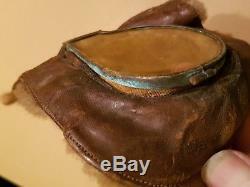 This item is in the category "Collectables\Militaria\World War I (1914-1918)\Field Gear". 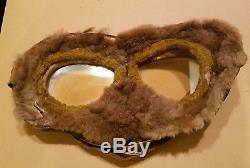 The seller is "warriorric" and is located in Immingham. This item can be shipped worldwide.